Q: What is an EB-5 Investor Green Card? A: The EB-5 Category allows a Foreign National the freedom to sponsor him or herself for U.S. Permanent Residency (Green Card). Specifically, Congress created the EB-5 immigrant category in the Immigration Act of 1990 with the goal of attracting foreign capital to the U.S and therefore creating jobs for American workers in the process. The EB-5 category allows an eligible investor to obtain permanent residency to the United States where he or she properly confirms to the requirements of the category. There are three basic requirements in the EB-5 visa category: (1)The investor must establish a business or invest in an existing business that was created or restructured after November 1990; (2)The investor must have invested a minimum of $1 million or $500,000 (depending on the location of the business); (3)The business must create at least 10 full-time U.S workers. Q: What is a Regional Center? A: A Regional Center is a business or investment project that focuses on a specific geographic area or business plan. Regional Centers are established to promote economic growth, create new jobs and increase domestic investment. Regional Centers must be approved and designated by the USCIS. Investing in a Regional Center is a more passive approach as the EB-5 investor does not need to be directly involved in the business’ day to day operations. Q: If I invest into a Regional Center, when will I get my money back? A: Generally, Regional Centers will have a business plan that will show an exit strategy that allows the investor to receive the full investment back within a five to six year period. However, it is important to understand that an investment into a Regional Center carries risk. An investor must understand that he or she could lose all or part of this investment. No Regional Centers can guarantee an investment will be returned. Q: Do I have to reside in the State where the Regional Center is located? A: One of the most attractive aspects of investing into a Regional Center is that the investor will not be required to be involved with hands on, day-to-day operations of the project. The investor will be free to live in any state in the U.S. with very limited operational duties. Q: What is a “Direct” EB-5? A: Direct EB-5 is the process of investing into the investor’s own Business or Company. Note that among other requirements, the investor will need to at least invest the minimum investment amount ($500,000 or $1 million) and also show the creation of 10 new U.S. jobs (there are some exceptions for troubled businesses). Q: Who is eligible for EB-5 Investor Green Card? A: Most countries are eligible under this Category. Certain immigration or criminal violations may preclude an applicant’s eligibility. Q: Must I be able to speak English well to apply? A: No. In fact, there is no requirement that you must speak English at all. Q: What is the minimum amount of investment required for EB-5 Investor Green Card? A: The U.S. Immigration rules require that the investment must be no less than $500,000 or $1 million; this minimum requirement will depend on the area in which the U.S. business receiving the investment is located (“TEA”). Q: What is a “targeted employment area for EB-5 Investment”? A: A Target Employment Area or “TEA” is a geographical location within the U.S. that has been shown to have an unemployment rate that is at least 150% greater than the U.S. National Unemployment Rate. A TEA could also be a location that is deemed to be rural in terms of population, (location must have a population of less than 20,000 people). An investment made into a TEA business will qualify that investor for an EB-5 Visa with a $500,000 investment. Q: How long does it take to get my EB-5 Investor Green Card? A: The Processing times vary. All EB-5 applications must initially begin the process with a petition filed with the USCIS. The current processing time here is four to twelve months. Upon petition approval, the applicant must then apply for his/her conditional green card inside the U.S. (if eligible) or abroad at a local Consulate. The processing times vary at the Consulates from two to six months. The processing time for the application inside the U.S. is three to six months. Q: How many EB-5 Investor Green Cards are available each year? A: The statutory number is 10,000 per year. Q: Are there any restrictions on the types of businesses in which the investment must be made? A: The vast majority of all EB-5 applications are made through a certified Regional Center (90%). A smaller number (10%) are investments into a closely held or “Direct” business. There are no statutory restrictions on the types of businesses eligible for EB-5 purposes. However, the law does require that the business create no less than 10 permanent U.S. jobs. Q: What kinds of documents should I be preparing to begin my EB-5 case? A: Each investor and investment is different. However, one common thread is that the U.S. Immigration Service will want to make sure that the investment funds ($500,000 or $1 million) was derived from a legal and legitimate source. As such, all investors are required to document the source of this investment in a manner that is accepted by USCIS. Q: Can the EB-5 investment funds come from a Gift? A: Yes, your EB-5 application can be processed based on funds that were gifted to you. However, be mindful that USCIS will want to see evidence that the gift giver earned his or her money in a legitimate manner. Also, there will need to be a showing as to the events or circumstances surrounding the gift. Q: Can I invest in EB-5 Program through my company instead of in my individual name? A: Yes, there are many ways to invest. Where you are receiving payments, dividends or loans from your company, those payments could be allocated to your EB-5 investment. Certainly, this is an area that would need to be discussed in more detail. Q: How many USCIS designated Regional Centers are there currently? A: Approximately 500 +. The vast majority are less than five years old. Q: I see that you are located in California. I am located in a different State. Is that going to be a problem? Is being located in California an advantage? A: The vast majority of our clients are located not only in other States, but also abroad in countries throughout the globe. Our Team speaks seven foreign languages including, Chinese, Spanish, Korean, Tagalog, Farsi, German, and French. Q: If I apply as a principal, who is eligible to immigrate with me via EB-5 program? Do they have to? A: One of the most attractive aspects of the EB-5 program is the fact that a single investment will include an investor his or her spouse and all of their children (under 21). There is no additional investment requirement for any of these immediate family members. Unfortunately, the investment does not include parents, children over 21 or brothers & sisters of the investors. An eligible family member is not required to be included with the investor as part of the EB-5 application, unless he or she wishes to do so. Q: When will I eligible to apply for Naturalization? A: After you have been a permanent resident (green card holder) for five years, you will be eligible to apply for Naturalization. 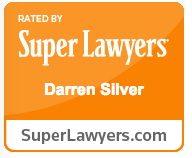 Q: Why choose Darren Silver & Associates LLP to represent you with your EB-5 Application or Project? A: Darren Silver has been involved with investment and EB-5 immigration processing for over 20 years. The Law Firm of Darren Silver & Associates has successfully filed over 3,000 EB-5 applications and has represented investors from all corners of the Globe. The Firm has assisted Regional Centers with Project materials, Individual investors with direct investment strategies and has helped those investors selecting to invest into a Regional Center Project. The Firm prides itself on an extensive knowledge base surrounding EB-5 laws and policies. 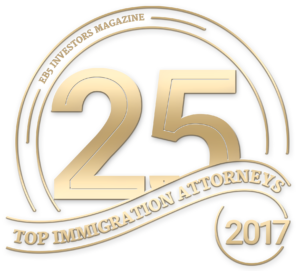 Mr. Silver and the Firm have won numerous awards and continue to be recognized as one of the top Law Firms in the EB-5 area.